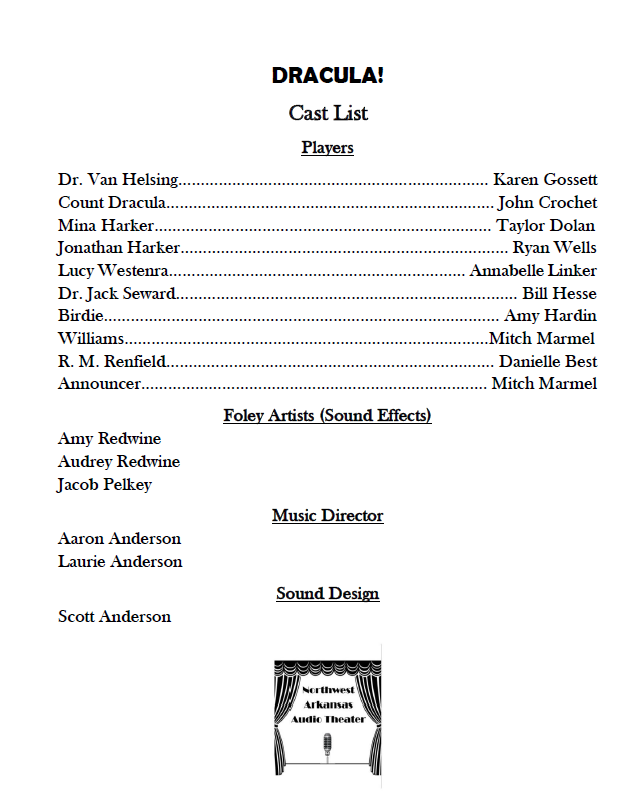 Cast list for "Go Back for Murder" - thanks to everyone who auditioned! NWAAT has recorded another show, which we hope to load to YouTube after editing. "The Royal Suitor" with Sherlock Holmes and Dr Watson. Here's a couple of photos from the recording session. 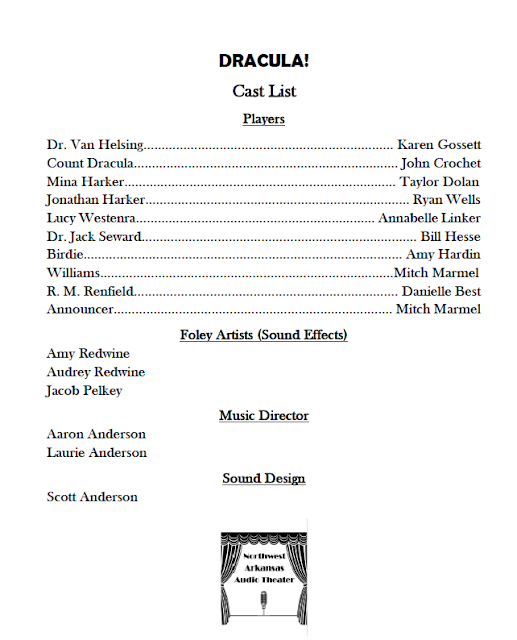 Many thanks to the cast and crew. 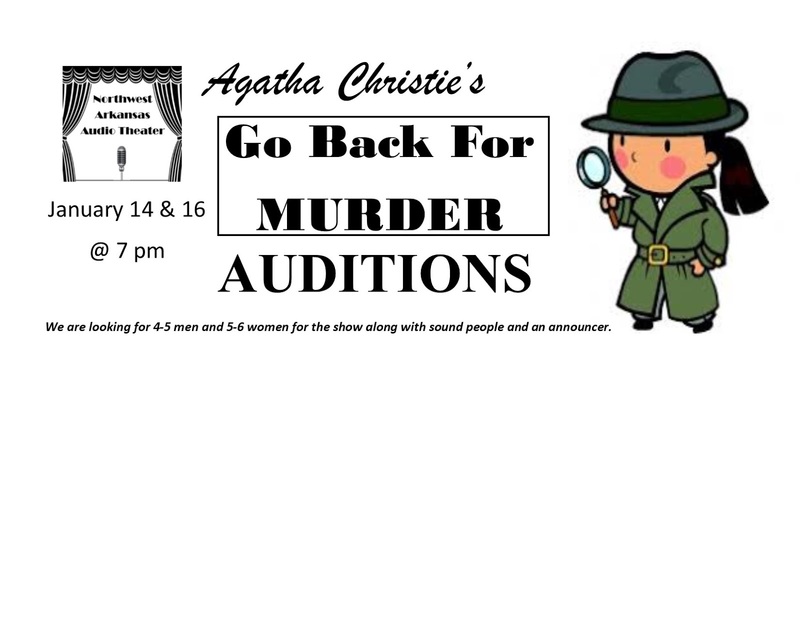 Go Back for Murder - Auditions! 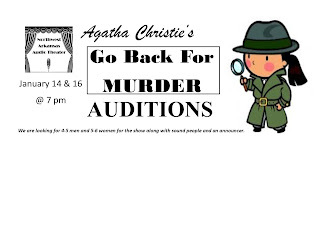 Please come to our auditions on January 14 & 16 at the Arts Center of the Ozarks. 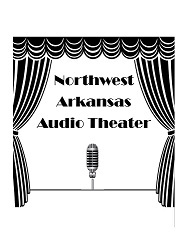 We are looking for 4-5 male voices and 5-6 female voices for the show along with sound people and an announcer. You can come either night or both nights if you wish.